New Kingdom Song 136: The Kingdom Is in Place—Let It Come! We’ll put our comments on this page in red text to distinguish from the title, scriptures and lyrics which come from jw.org. This is the longest of all the song commentaries, because the theme of the song was so closely tied to the 1914 teaching. The text of the song will be marked in blue. The Kingdom Is in Place—Let It Come! Many JWs still call their songs or hymns “Kingdom Songs” for historical reasons, but this particular one fits the bill perfectly. It was released at the 2014 Annual Meeting on October 4, 2014, where it was also explained that it was in fitting celebration of the “100th year of the Kingdom.” On earlier occasions in 2014 the entire year was described as the “Year of the Kingdom” (by guest speakers from the WTBTS at a “Pioneer School”). This particular song was released almost 100 years to the day of the infamous announcement from C.T. Russell about the end of the Gentile Times. The verbal tense issue is due to the focus on two separate times when God’s Kingdom is said to begin: one in the past: “1914,” and one in the future: “Judgment Day.” In some contexts, the Watchtower has used the expression that “Jesus came” in 1914. When Jesus came into his Kingdom authority in 1914 . .
As Bible students, we know that in one sense God’s Kingdom came in 1914 when Jesus was installed as King in heaven. But we know that more is involved in response to the prayer “Let your Kingdom come. Let your will take place, as in heaven, also on earth.” (Matt. 6:10) Clearly, that includes the end of the present wicked system. Only when that occurs can God’s will be done on earth as it is being done in heaven. This is not entirely a recent change, because there have always been verses that proved too difficult to fit neatly into the scheme of Jesus arriving/coming in 1914, then present, then arriving/coming again during the “great tribulation.” Even Jesus’ expression, “I will be with you until the conclusion of the system of things” (Matt 28:20) is problematic in that, technically, it would indicate that Jesus is present only until 1914, not after 1914. However, the more recent doctrinal changes actually push some of the events previously attached to the entire period since 1914, which are now only attached to the time when Jesus comes in an executional sense. We first considered that the great tribulation did not begin in 1914 but will start when the United Nations attacks Babylon the Great. Then, we reviewed why Jesus’ judgment of the sheep and the goats did not begin in 1914 but will occur during the great tribulation. 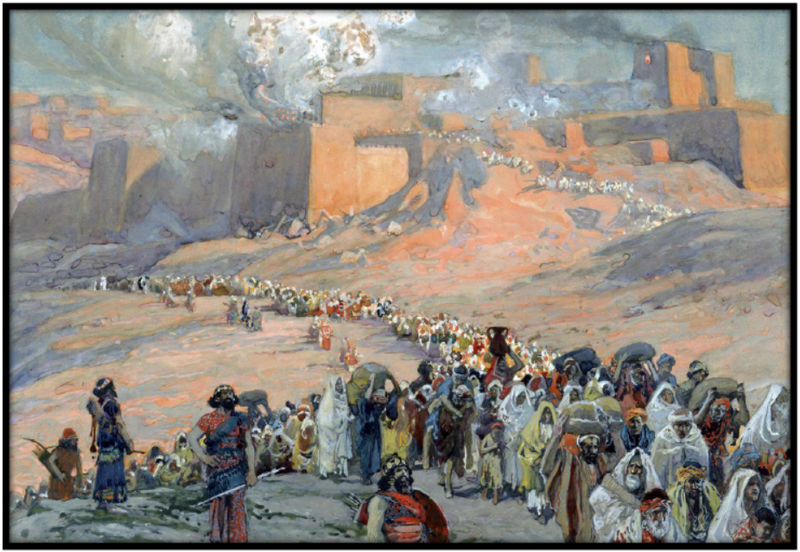 Finally, we examined why Jesus’ arrival to appoint the faithful slave over all his belongings did not occur in 1919 but will take place during the great tribulation. So, then, all three “whens” apply to the same future time period—the great tribulation. How does this adjusted view further affect our understanding of the illustration of the faithful slave? Also, how does it affect our understanding of other parables, or illustrations, of Jesus that are being fulfilled during this time of the end? The following is a much earlier example that matches the current beliefs. (Although note that the first example was written at the beginning of the year 1975, when much speculation about time periods was still being pushed by many of the Watch Tower’s representatives.) This explains the focus on time periods prior to the flood of Noah’s day. This period from the end of the Gentile Times in 1914 C.E. Jesus designated (in Matthew 24:36-39 quoted above) as his “presence.” During this time he would, invisibly, be making inspection of the earth. He would also direct the work of warning the people and gather together those who are not the ‘scoffer’ type, but who take heed and exercise faith. Then he would ‘come’ with destructive power against God’s enemies. . . .
As to Jesus’ being “present” for a time before he ‘comes’ against this system of things, consider the length of the period during which Noah built the ark. He was 500 years old when he began to have sons. (Gen. 5:32) These three sons all grew up and married, by which time Noah was probably around 550 years of age. At that time God gave him instructions to build the ark. (Gen. 6:18) The Flood occurred when Noah was 600 years old. (Gen. 7:6) This would allow fifty years, more or less, as the period before the Flood, in which the people could observe and take warning. . . . 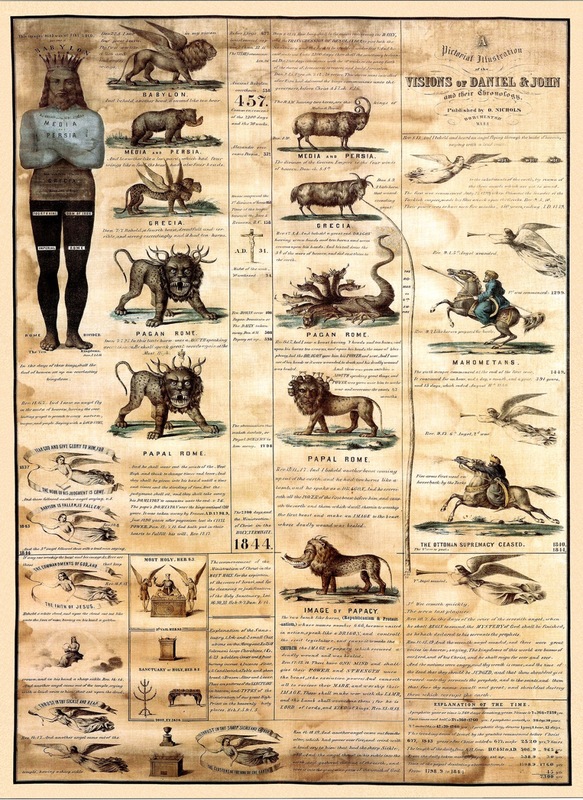 In Noah’s time he was told, one week before the floodwaters fell, to take into the ark the specimens of the various animals that were to be preserved. . . . The advance notice God gave him was very short, but necessary, and sufficient to accomplish God’s purpose. In 1996, the Watchtower went so far as to speculate on the idea that Matthew may have written his gospel account in Hebrew, and then speculated that the Syriac version may have retained some evidence of what that otherwise unknown Hebrew version might have contained. The speculation came to nothing but more speculation. But notice how the “end game” was given away in the last sentence quoted below. It says basically that no matter what evidence is found the Watchtower will only accept it if it fits the current beliefs of Jehovah’s Witnesses. at Matthew 24:3, 27, 37, 39. So there is evidence that in ancient times the noun bi·ʼahʹ may have had a sense that differed somewhat from the verb bohʼ used in the Bible. Why is this of interest? 19 The apostles in their question and Jesus in his reply may have used this noun bi·ʼah.ʹ Even if the apostles had in mind simply the idea of Jesus’ future arrival, Christ may have used bi·ʼahʹ to allow for more than what they were thinking. Jesus could have been pointing to his arrival to commence a new office; his arrival would be the start of his new role. This would match the sense of pa·rou·siʹa, which Matthew subsequently used. Such a use of bi·ʼahʹ would, understandably, have to support what Jehovah’s Witnesses have long taught, that the composite “sign” Jesus gave was to reflect that he was present. (Revelation 12:10) 10 I heard a loud voice in heaven say: “Now have come to pass the salvation and the power and the Kingdom of our God and the authority of his Christ, because the accuser of our brothers has been hurled down, who accuses them day and night before our God! For Jehovah’s Witnesses, these verses in Revelation are only tied to events in 1914. For many other religions, Revelation can refer to events past, present and future, so that these verses could even refer to a revelation of the outworking of God’s purpose during the first century C.E. when Jesus was resurrected. (Revelation 1:19) 19 So write down the things you saw, and the things that are, and the things that will take place after these. And always you will be. He rules by your decree. In this song, there is a reference only to Jehovah’s “Son” but no mention of either “Jesus” or “Christ.” Ironically, both “Devil” and “Satan” are mentioned directly. The phrase “Jehovah, you have always been” is also an acknowledgment that God’s Kingdom is referred to as having always existed and will always exist eternally, which adds another dimension to the verb tense issue. It also fits the understanding of the verses in Revelation which relate God’s eternal kingdom to the kingdom of the world. His rulership will fill the earth. When the disciples asked Jesus for an advance sign of his “parousia” so that they would know when these things might occur, Jesus never said: “OK, this is the sign.” Jehovah’s Witnesses believe that this is what Jesus meant, when he spoke of wars, earthquakes and food shortages. But Jesus’ first words were actually, “Do not be misled.” And then he spoke to them about how these things that they might think are advance warning signs are actually not really signs of the end. If they could be considered signs at all, they should be seen as something more like the beginning signs of “birth pangs” perhaps implying that they are not necessarily the full-blown labor pains yet. They are the pains that can be expected before the birth of something. The real “end of the age” or “conclusion of the system” would apply more to the “great tribulation” such as the world has never seen before. That would be, no longer the beginning, but the birth pains at the end, the final labor pains that result in a birth. (Matthew 24:7, 8) 7 “For nation will rise against nation and kingdom against kingdom, and there will be food shortages and earthquakes in one place after another. 8 All these things are a beginning of pangs of distress. (1 Thessalonians 5:3) 3 Whenever it is that they are saying, “Peace and security!” then sudden destruction is to be instantly on them, just like birth pains on a pregnant woman, and they will by no means escape. So what Jehovah’s Witnesses understand to be the “sign” that the time of the end has begun, is really birth pangs in advance of the end. These are birth pangs at the “beginning” when it’s too early to predict anything about the timing of the greater tribulation at the end. All this is awkward but workable into the doctrinal system of Jehovah’s Witnesses who see the wars and earthquake as the “beginning the end.” Where it becomes unworkable is when we see that Revelation ties the “end” of the travail to the birth of the kingdom. (Revelation 12:1, 2) Then a great sign was seen in heaven: A woman . . . was pregnant. And she was crying out in her pains and in her agony to give birth. The Watch Tower publications teach that the birth was in 1914, but that the birth pangs do not start until 1914 and they continue until the great tribulation. Salvation and kingdom and might. The Kingdom is in place. We know what this will mean. At the end of the song lyrics, there is a reference to 2 Corinthians 4:18, which is where the lyric is derived. But notice how the timing is misplaced and misused when we look at the context of that verse. It is not about seeing something that is currently happening but is invisible. No, it’s about keeping your eyes on the prize, looking forward to something that can’t be seen because it’s not yet time for it. It’s in the future. (2 Corinthians 4:18-5:7) 18 while we keep our eyes, not on the things seen, but on the things unseen. For the things seen are temporary, but the things unseen are everlasting. 5:1 For we know that if our earthly house, this tent, should be torn down, we are to have a building from God, a house not made with hands, everlasting in the heavens. 2 For in this house we do indeed groan, earnestly desiring to put on the one for us from heaven . . . 5 Now the one who prepared us for this very thing is God, who gave us the spirit as a token of what is to come. 6 So we are always of good courage and know that while we have our home in the body, we are absent from the Lord, 7 for we are walking by faith, not by sight. And sing with joyful cries. Of Satan and his lies. The idea of Satan being cast out in 1914 having only a short period of time is one of those ideas that becomes more and more awkward as that supposedly”short” period of time becomes a much longer period of time. In what way are the heavens relieved of his lies if heaven is still a witness to 100 years or more of those lies? The rejoicing in heaven was not over the fact that their relief over the quick action and the “short time” remaining. (Revelation 12:5-17) 5 And she gave birth to a son, . . . And her child was snatched away to God and to his throne. 6 And the woman fled into the wilderness, where she has a place prepared by God and where they would feed her for 1,260 days. 7 And war broke out in heaven . . . with the dragon. . .9 So down the great dragon was hurled, the original serpent, the one called Devil and Satan. . .10 I heard a loud voice in heaven say: “Now have come to pass . . . the Kingdom of our God and the authority of his Christ. . . 12 On this account be glad, you heavens and you who reside in them! Woe for the earth and for the sea, because the Devil has come down to you, having great anger, knowing that he has a short period of time.” 13 Now when the dragon saw that it had been hurled down to the earth, it persecuted the woman who gave birth to the male child. 14 But the two wings of the great eagle were given to the woman, so that she might fly into the wilderness to her place, where she is to be fed for a time and times and half a time away from the face of the serpent. . . . 17 So the dragon became enraged at the woman and went off to wage war with the remaining ones of her offspring, who observe the commandments of God and have the work of bearing witness concerning Jesus. 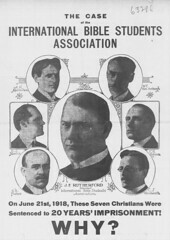 However, on May 7, 1918, warrants were issued for the arrest of eight members of the management and editorial staff of the Watch Tower Bible and Tract Society, including the president, J. F. Rutherford. . . .Then on July 4, 1918, these dedicated Christian men were taken by train to prison in Atlanta, Georgia, U.S.A.
. . . 6 However, Jehovah’s permitting such fiery trials to befall his people was with their eventual blessing in view. He never left them entirely. On Tuesday, March 25, 1919, J. F. Rutherford and his seven associates were released from prison on bail and were later completely exonerated. 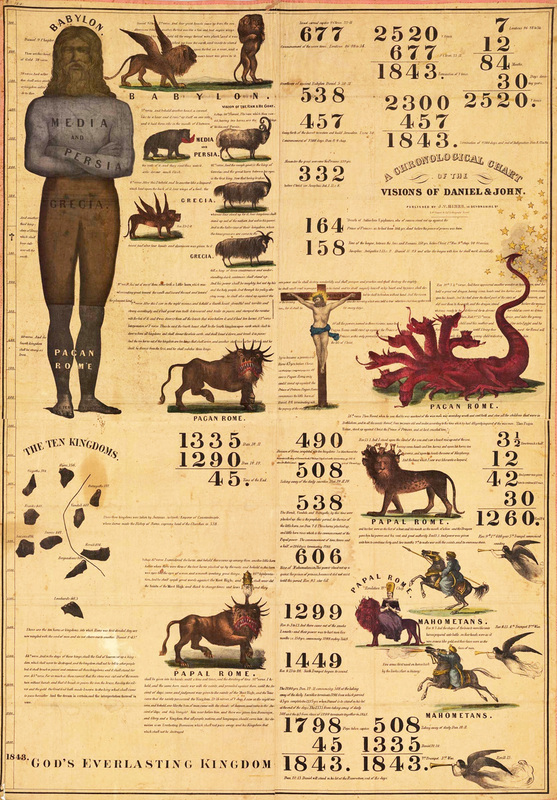 Even in Revelation chapter 11, which also mentioned a 1,260 day period, that period is tied from 1914 to 1919, by adding 1260 days and then 3.5 days and saying that the 3.5 days meant a relatively shorter period than the 1,260. This way 1,260+3.5 can equal (not 1,263.5 days) the entire period of over 1,607 days. In each case, the account refers to God’s anointed ones who took the lead during a difficult time of testing. So in the fulfillment of Revelation chapter 11, the anointed brothers who took the lead at the time of the establishment of God’s Kingdom in heaven in 1914 preached “in sackcloth” for three and a half years. At the end of their preaching in sackcloth, these anointed ones were symbolically killed when they were thrown into prison for a comparatively shorter period of time, a symbolic three and a half days. In the eyes of the enemies of God’s people, their work had been killed, causing those opponents much joy.—Rev. 11:8-10. However, true to the words of the prophecy, at the end of the three and a half days, the two witnesses were brought back to life. Not only were these anointed ones released from prison but those who remained faithful received a special appointment from God through their Lord, Jesus Christ. In 1919 they were among those who were appointed to serve as a “faithful and discreet slave” to care for the spiritual needs of God’s people during the last days.—Matt. 24:45-47; Rev. 11:11, 12. Interestingly, Revelation 11:1, 2 links these events to a time when the spiritual temple would be measured, or evaluated. Malachi chapter 3 mentions a similar inspection of the spiritual temple, followed by a time of cleansing. (Mal. 3:1-4) How long did this inspection and cleansing work take? It extended from 1914 to the early part of 1919. This period of time includes both the 1,260 days (42 months) and the symbolic three and a half days referred to in Revelation chapter 11. 25 In the wilderness, Jehovah brought forth the Israelites as a nation, providing for them spiritually and physically. Similarly, starting in 1919, Jehovah brought forth the seed of the woman as a spiritual nation. This is not to be confused with the Messianic Kingdom that has been ruling from the heavens since 1914. Rather, this new nation is made up of the remnant of anointed witnesses on earth, who were brought into a glorious spiritual estate in 1919. Being provided now with “their measure of food supplies at the proper time,” these were strengthened for the work that lay ahead.—Luke 12:42; Isaiah 66:8. 26 How long did this respite for the seed of God’s woman last? Revelation 12:6 says 1,260 days. Revelation 12:14 calls the period a time, times, and half a time; in other words, three and a half times. In fact, both expressions stand for three and a half years, extending in the Northern Hemisphere from the spring of 1919 to the autumn of 1922. This was a period of refreshing recuperation and reorganization for the restored John class. So, this time period tied to the women giving birth to a son caught away to God’s throne was supposed to have happened in 1914. Then, as this woman is sped away into the wilderness on the wings of eagles to barely escape the angry Satan, who is viciously angry and concerned that he has only a short period of time to attack . . . well, it turns out that this woman wasn’t even being protected, hidden or fed until 1919 and this went on until 1922. Why is that important? Because Revelation is here quoted as supporting the idea in the very title of the song that, “Kingdom is in place” in 1914. Yet, the same chapter mentions only one time period, and the the Watch Tower can’t even tie that time period to 1914. It displays just how little concern they have, and how little evidence they have, for Satan’s activities on earth, after being cast down around October 1914. Instead, the only time period tied to Satan’s activities given in the entire chapter is never even tied to 1914. It doesn’t even start until 1919. Any explanation, needs to apply first and foremost to the activities suffered by the Watch Tower organization’s leaders, and the timing of those events is much more important than the timing of events found in the Bible itself. Even if the woman was supposed to be “God’s heavenly organization,” those time periods must be applied to the Watch Tower’s “earthly organization.” And the exact numbers in in the Bible don’t even matter. They can be mangled and twisted and stretched and distorted, just as long as they can be applied to important periods about the Watch Tower Society’s leaders. (Daniel 2:34, 35) 34 You looked on until a stone was cut out, not by hands, and it struck the image on its feet of iron and of clay and crushed them. 35 At that time the iron, the clay, the copper, the silver, and the gold were, all together, crushed and became like the chaff from the summer threshing floor, and the wind carried them away so that not a trace of them could be found. But the stone that struck the image became a large mountain, and it filled the whole earth. It’s common to tie the event depicted in Daniel to a period in history when God’s kingdom would come and crush the kingdoms of the world. The problem here is that Jehovah’s Witnesses say that this stone struck the image in 1914. But it’s a slow crush, evidently, because we still have traces of the supposedly crushed governments that were here in 1914. Again, the WTS does not care for the natural meaning of Biblical imagery. They are just fine with the idea that the stone that smashed the image really just grazed it or barely bumped it, but that it comes back and crushes it later. It’s the only way to make 1914 work, which is much more important than making sense of the Bible.